Parents who have newborns or are expecting would be interested in the best highchairs for babies. It is an essential particularly when you start feeding your baby soft foods and solids. Because your baby will be spending a lot of time in it, you would want him or her to be secure. This is why it is essential to learn more about its safety features. There are a lot of best high chairs for babies in the market so you may want to check it out in stores or read more about it online. Here are some of the best highchairs for babies to help you decide which one to get. Many consumers consider Peg Perego one of the best baby highchairs today. Its highchairs are made of 70% Polyester and 30% Cotton making it sturdy yet comfortable for them. It has five reclining seat positions and nine different height positions so that your baby would be able to eat comfortably regardless of how he or she prefers to sit. The high chair also evolved tilt-in-space seat that fully reclines. 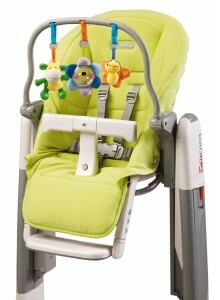 With its 5-point safety strap and passive restraint T bar, your baby will be completely safe. You even need not worry about it moving around as the chair comes with mar-resistant caster wheels that automatically lock for safety. It is also easy to keep your Peg Perego highchair clean as its double-tray is dishwasher-safe for easier clean-ups. Its spring-loaded design also allows it to fold automatically making it compact and easy to store. Peg Perego baby highchairs cost around $200 to $350. The Chicco Polly highchair is made of nylon to make it both sturdy and comfortable. You can be sure of your baby’s safety as the chairs include a five-point safety harness and brakes on all wheels. It also has seven height positions as well as three reclining positions for increased comfort. It is convenient to move the chair around with its one-hand seat recline and tray removal. It fastens securely with a single lock attachment which smoothly works on most types of tables. Cleaning your Chicco highchair is also easy. Its snap-on serving tray is dishwasher-safe making cleaning more convenient. Its two cushioned seat pads are easy to clean as well. Because it folds completely, you will not have problems storing it. You can even bring it with you when you travel. The best Chicco Polly highchair costs around $70 to $350. Today, there is a great abundance of available brands and models of high chairs in the market. For instance, there are the best Graco high chairs. According to many people who have used such in the past, they are an excellent choice when it comes to safety and functionality, and hence, worth the money that they have spent for such product. When looking for the best high chairs in the market, many specific factors should be taken into account. For instance, it should be able to deliver the highest level of comfort. It should also be made from materials that are durable and safe. To add, they should also be easy to assemble, use, and move. Given the different factors that should be taken into account when looking for the right product within this category, this article will provide you with insights on some of the best Graco high chairs that are currently offered in the market, which will make it easy for you to pick the right one. When it comes to baby accessories, Graco is the choice of many parents today. 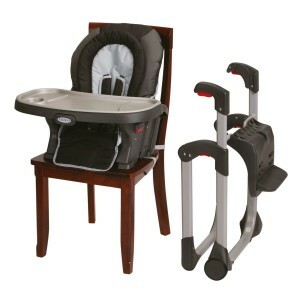 If you are shopping for baby stuff, you should check out the best Graco highchairs. The brand has slim folding highchairs that come pre-assembled. You won’t have to bother setting it up. It also has 6 height positions and 3 recline levels so you can quickly adjust it during feeding time. Graco also understands that babies grow fast which is why the highchairs feature a 4-in-1 modular seating system and 3-position adjustable footrest so you can adjust it as necessary. Depending on the Graco highchair model that you get, it can allow you to seat two kids at once making it great for twins. It is also easy to move around as its two front over-molded wheels with two locking rear castors enhance its mobility. Its price is approximately $70 to $140. If you’re looking for the best highchair for babies, you can’t go wrong with Fisher Price. The brand has been associated with baby stuff for many years. Their highchairs are available in different designs such as Ocean Wonders, Rainforest, and Planet Blue so it would suit your home décor. Fisher-Price highchairs include 3-position recline so you can adjust it when feeding your baby. Its height can also be changed. The casters make it easy to move the highchair around your home. It will be easy to keep the chair clean. The feeding tray is dishwasher-friendly making it easy to clean. Its full-size seat pad is spill resistant and machine washable. Depending on the model you get, it may come with toys which will help enhance your baby’s motor skills. Fisher-Price highchairs for babies cost around $$75 to $125. 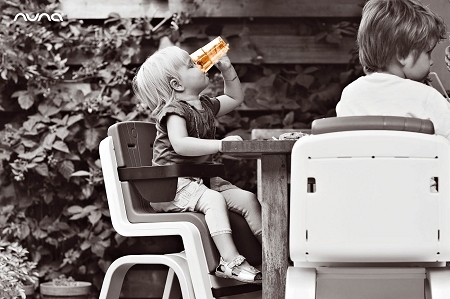 Evenflo highchairs have been designed for modern moms. The design allows moms to quickly get the baby in or out of the highchair. It is lightweight, compact and portable making it suitable for on-the-go parents. You can easily store it at home or bring it with you when you travel. The chair also has a durable frame for support and stability. Its 3-point harness will also keep your baby secure. Cleaning up after feeding time is easy. You can put the removable tray in the dishwasher, and the comfortable seat pads are also machine washable. The tray can be stored at the back of the chair when it is not in use so that your baby can move around freely. 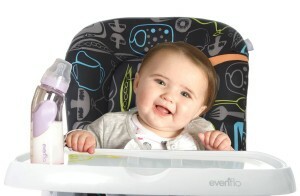 Evenflo’s highchairs cost around $50 to $100. When buying a baby highchair, it is important to read more about the best highchairs for babies and compare its design and safety features to determine which one best suits your lifestyle. It is also a good idea to buy it online as different online stores offer good deals for it.